We are committed to making the overall ownership experience of a Mercedes-Benz vehicle the best in the automotive industry. 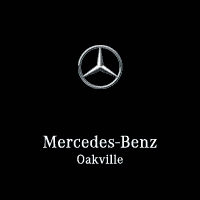 The Mercedes-Benz Canada Roadside Assistance Program is an integral part of this commitment. Beyond the services and assistance provided through our dealer network, Mercedes-Benz Canada has a nationwide auxiliary support network with the sole purpose of providing Mercedes-Benz owners with peace of mind wherever and whenever they need it. Emergency Roadside Assistance is available virtually anywhere in Canada or the continental United States. Specific coverage details can be obtained by calling the Mercedes-Benz Roadside Assistance number 1-800-387-0100. Emergency Roadside Repair Service is also available in major metropolitan areas within a 50-km radius of your Mercedes-Benz dealer by calling 1-800-387-0100. Please contact a dealer for details and hours of service. For either Emergency Roadside Assistance or Emergency Roadside Repair Service, the vehicle identification number (VIN) will be required at the time of the initial call. The VIN is easy to find and is located on the automobile registration, on the dashboard viewed from outside the front of the windshield on the drivers side, or below the door latch on the drivers-side door pillar. This last eight digits of this number are needed to access customer records.